Note that the extended version of Hugo is required since this theme needs SCSS support. At the time of writing, this is the version found by installing via HomeBrew and the Arch User Repository. If that isn’t the case for your package manager, then install using $ go install --tags extended as documented in the Hugo Install Docs. Add the repository into your Hugo Project repository as a submodule, git submodule add https://github.com/seanlane/gochowdown.git themes/gochowdown. Configure your config.toml or config.yaml. Build your site with hugo serve and see the result at http://localhost:1313/. Similarly to how the original Chowdown theme for Jekyll was organized, this theme adds two sections, recipes and components. 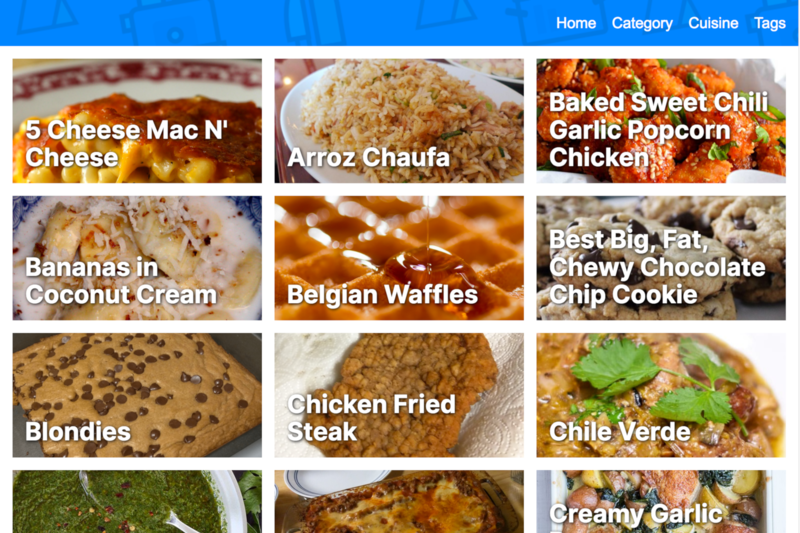 The primary section you’ll want to use is the recipes, as they form the panel listing on the front page, as well as most of the content. The components section is for recipes that form subcomponents of a recipe, allowing for a recipe to call on several components, and different recipes to reuse the same component, if desired. Note that this is a work in progress, so things may be broken or change in the future. Feel free to contribute or offer suggestions. Note that the default template (archetype in Hugo vernacular) will replace the hypens in the provided name with spaces as the title and capitalize the first letter of each word. For example, if I were to enter the command hugo new --kind recipe-bundle recipes/hot-dog, I would find a new folder at content/recipes/hot-dog, and the title within the index.md file in that folder would be Hot Dog. Similar to above, but instead of adding the recipes to the content/recipes directory, add the individual components to the content/components directory. Then add a new recipe as you normally would, and replace the instructions list with a components list, using the title (aka name) of the recipe, and modify the directions section as needed. Coder is licensed under the MIT license.